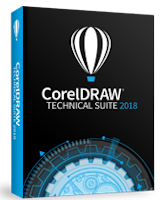 CorelDraw Technical Suite 2018 includes the CorelDraw Graphics Suite 2018 package! CorelDRAW Technical Suite 2018 includes all the benefits of CorelDRAW Graphics Suite in addition to universal development tools that allow you to create detailed assembly instructions, complex user guides, multi-faceted documentation, and more. Achieve unrivaled performance with new high-caliber features for greater efficiency and get full support for technical standards for publishing, sharing or printing. After payment you will immediately receive a serial key to activate the program. This license is guaranteed to activate the program and does not have a limited period of use. The software is intended only for one computer running on Windows operating systems (32/64-bit). A: This license does not have technical support and is created for companies that do not need it. Q: Will the program update automatically? A: No, this feature is available only to the owner of a commercial license in the form of a monthly subscription. Q: Can I use this key again after reinstalling the system? A: Yes, the key is tied to your motherboard and in case of a second installation, the key activates the program again only on the same computer. 1. After a positive review, you always get a nice bonus in the form of a discount on your next purchase. 2. Continuous updating of the range, come more often. 4. Only quality and licensed products.